A Chinese tradition that goes back hundreds of years and gained popularity through film actor Bruce Lee, is also spreading in Malta. One of the most renowned experts of the Wing Chun is currently in Malta to share this art with Maltese athletes in various disciplines. The 400-year old Wing Chun, which is linked with Chinese culture, today is not only a tradition, but is used in practice and taught to Police officers and soldiers. Master Zheng Zujie said that the Wing Chun martial art is not only used for fighting, but offers a different perspective of life. Through the initiative of the Maltese Martial Arts Association and the Chinese Cultural Centre, Master Zheng is currently in Malta to share the art with Maltese athletes in different disciplines. Zheng was one of the actors in the Chinese series The Legend of Bruce Lee. 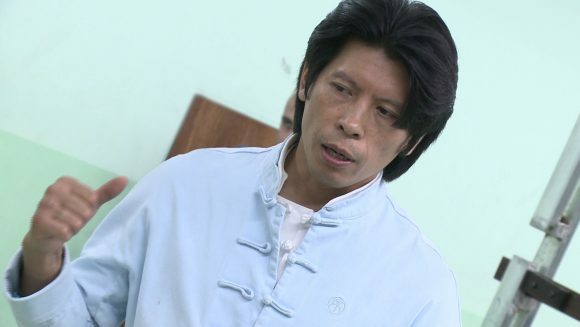 Adrian Axisa, President of the local association MMAA, said that Bruce Lee was the person responsible for disseminating the Wing Chun abroad. “Whing Chun became famous as Bruce Lee practiced it with Ip Man, whose films of Wing Chun arts are very popular”. The roots of Wing Chun have a curious story. Alana Axisa says that, contrary to many of the martial arts, Wing Chun was invented by a woman with a technique which permits an athlete to defeat a greater and stronger adversary. “I encourage women to try practicing martial arts, not only for fighting, but as a life experience. Martial arts assisted me daily in my life”. Master Zheng said that Wing Chun assists an individual to develop as a person and a sense of calmness.